At Warrnambool Veterinary we are committed to providing tailored animal health solutions for your dairy herd. To identify the most appropriate strategy, we are introducing the Annual Herd Health Check-up. The Annual Herd Health Check-up is a 15 minute consultation (at NO CHARGE) to determine which preventative vaccines and treatments are most suitable for your herd. In conjunction with Zoetis, Warrnambool Veterinary is also able to undertake testing of your herd for important mastitis pathogens and screen the herd for pestivirus at NO CHARGE until30 June 2016. The tests will be discussed at your Herd Health Check-up. 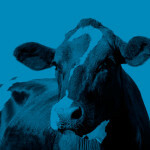 In addition to our competitive pricing we now offer free on-farm delivery for your Herd Health Care products. Delivery is via our new Warrnambool Veterinary delivery van fully fitted out with refrigeration capabilities to ensure your product is delivered to strict quality control guidelines. 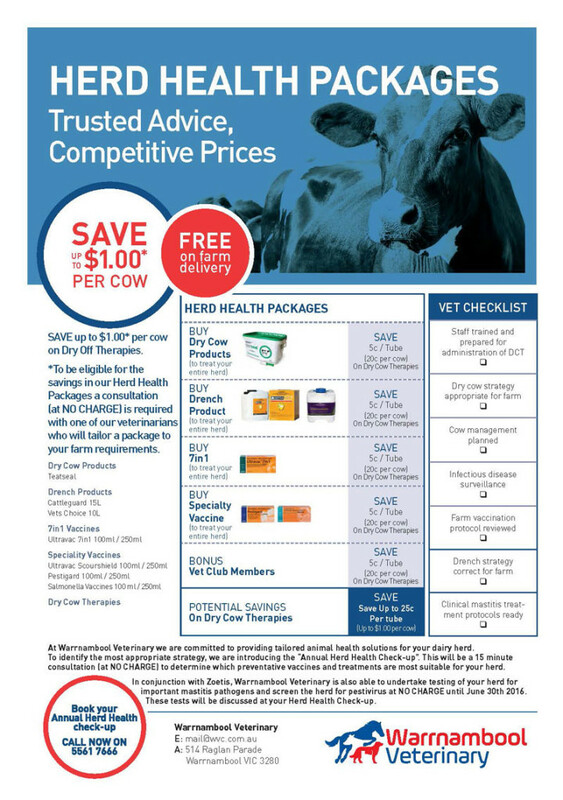 Download our Herd Health Package information flyer, call the Large Animal Desk on 5561 7666 to book your free 15 minute Herd Health consultation and take advantage of our competitive pricing and on-farm delivery.